Use the form below to contact tour Combined Mekong Delta and Cambodia Tour directly. Experience the trading activities on the floating markets, enjoy your homestay with the local people. Visit the Sam mountain with caved pagoda, visit the Bird Sanctuary in Chau Doc. Cruise uptream to Phnompenh from Chau Doc through Vinh Xuong. Visiting the Killing Field of Choeung Ek. Discover the wonders of Angkor, you will see all the main attractions such as Angkor Wat, Bayon, Small & Grand Circuits and Roluos Group, which between them have all the main and best attractions Angkor has to offer. Be witness to delightful sunrises and sunsets and take a relaxing cruise on Tonle Sap Lake and learn about the life of the people who call it home. Have lunch in the orchard garden. Then a boat ride to An Khanh – a less touristy attraction in Ben Tre, enjoy cruising on a hand-rowed sampan under the shade of water coconut trees along natural canals. Have a short cycling tour, then enjoy seasonal fruit & honey tea to the sound of “Southern Vietnamese folk music”, performed by the locals. Visit a family business which epitomizes the idyllic rural lifestyle, taste delicious coconut candy & observe the pastoral life as you roam through the fruit plantations and villages. 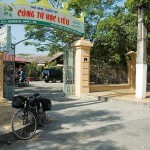 Proceed to Can Tho via Vinh Long and visit the snake market. Take a leisurely boat trip to explore the picturesque tributaries of the Lower Mekong river (Bassac River), then proceed to Cai Rang floating market which are the liveliest in the whole religion. Have you ever tasted Vietnamese vermicelli soup? Well, now go and see how it is made. Then wander around the village and meet the friendly local people and experience how to pass a “Monkey bridge” which is built by only one stem of bamboo. Visit the orchard garden. Stop for lunch. Proceed to Chau Doc, continue the tour to visit Tra Su, getting to the wild birds Sanctuary, cruising smoothly with small boats to discover the arrays of splendid canals deep into the forest, watching storks, cranes and other tropical birds, back to the Town. After breakfast. Change to the speed boat to board to PhnomPenh. Arrive in Phnom Penh around 14h.00 at the Sisowath tourist dock. Welcomed by your local guide and driver. Transfer to your hotel. In the afternoon, take a city tour to visit Royal Palace, Silver Pagoda, and the National Museum of Khmer Arts. After breakfast, we will witness the reign of terror during the Khmer Rouge Regime by visiting the Killing Field of Choeung Ek, and the Tuol Sleng Museum of Genocidal Crime. In the afternoon, you will be transferred to Phnom Penh Joined Bus company for the bus trip to Siem Reap. 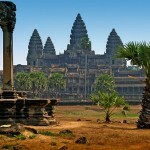 This trip will take you around 6 hours across the country road of Cambodia, the paddy fields, Khmer Villages and rivers. Upon arrival at Siem Reap bus station, our guide and driver will pick you up and transfer to hotel. After breakfast, visit to Prasat Kravan, Srah Srang, Banteay Kdei,Pre Rup, Neak Pean and and Preah Khan temples. Later in the afternoon, visit to the Small Circuit to see Ta Prohm, Ta Keo, Thommanon, and Chausay Tevoda. After breakfast, we will continue with your tour to see the South Gate of Angkor Thom, Bayon, Bapuon, Terrace of Elephants and Leper King. 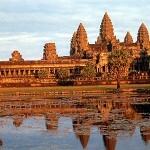 In the afternoon, visit the fabulous Angkor Wat complex. Enjoy your dinner with the traditional Khmer Dance Show. After breakfast at hotel, free at leisure until transfer to airport for your next destination. Private Tour: Daily departure from Ho Chi Minh city with English speaking guide (other languages are on request and may be subject to supplements).